The Passion Play Oberammergau 2020 will be performed 102 times during 2020 by more than 2000 locals. 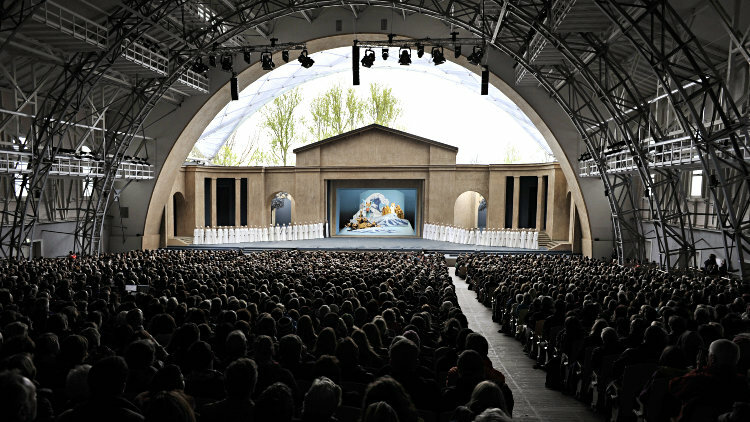 the five-hour play is staged in the Oberammergau Passionstheater – with 4,500 seats one of the largest open-air theaters in the world. All seats have roof cover so performances are not cancelled is it rains.